Propelled by John Hillcoat’s (The Road) directorial style and a top-notch cast, Triple 9 races through a world where no one can be trusted in this latest action-filled crime thriller. In the film, a bank robbery is just the tip of the iceberg when two cops in Atlanta begin suspecting that members of their own team are involved. Not knowing whom to trust and how deep the corruption goes, the clock is ticking as they try to uncover the truth — before they become the target for the next deadly job. The cast includes Woody Harrelson (HBO’s True Detective), Anthony Mackie (Avengers: Age of Ultron), Chiwetel Ejiofor (The Martian), Aaron Paul (Need for Speed), Teresa Palmer (I Am Number Four), Norman Reedus (The Boondock Saints), Michael K. Williams (The Road), Casey Affleck (Out of the Furnace) and, as a Russian-Israeli crime lord, Kate Winslet (A Lttle Chaos). The critics didn’t love this one—at Rotten Tomatoes, the film garnered a 5.8 out of 10 rating based on 133 published reviews. 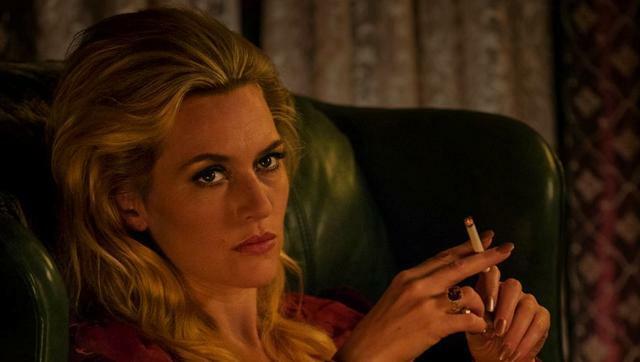 Under the Gun – The acclaimed cast of Triple 9 offers an in-depth look at its characters and the pulsepounding twists and turns at the heart of the film.